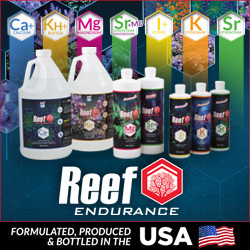 Quality Marine, located in Los Angeles, CA has been on a streak of acquiring and distributing more and more captive bred ornamental aquarium fish in recent months. The latest captive bred species is the Glow-Tail Pipefish. Traditionally wild caught, these fish have been hard to obtain but they have remained popular in the hobby for a few decades. 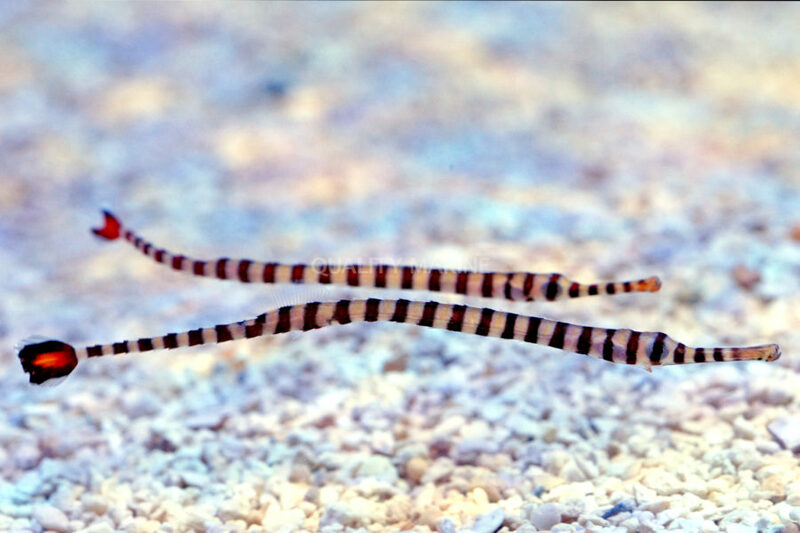 Quality Marine is importing the Pipefish through Aquarium Des Lagons in French territory of New Caledonia. Read the press release below to learn more about this exciting news. 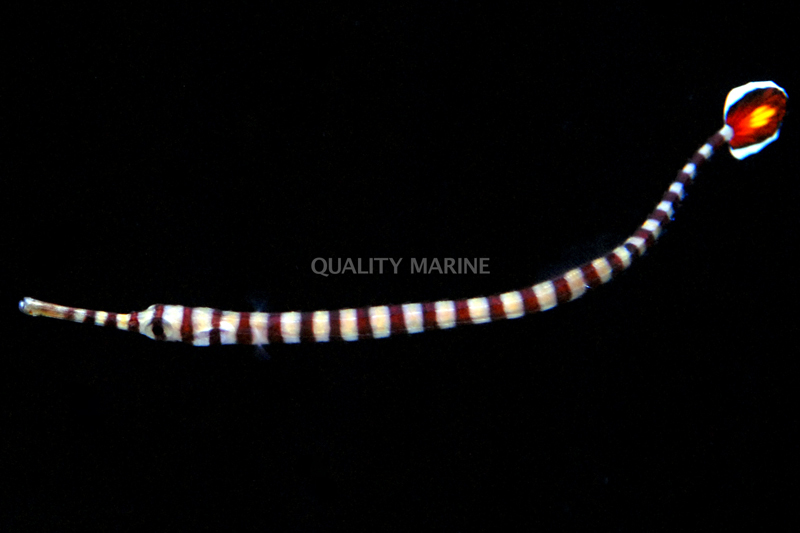 As part of Quality Marine’s continuing effort to promote sustainability and responsibility in the aquarium trade, another commercially aquacultured first is now available through us: the Glow-Tail Pipefish (Dunckerocampus chapmani). These fish are available exclusively at Quality Marine to our customers. Due to the natural range of this animal being limited to the southwest Pacific surrounding New Caledonia, the wild specimens are only very infrequently available, making this even more exciting. Now, the Aquarium Des Lagons in New Caledonia has successfully captive bred the Dunckerocampus chapmani. This is not the first time Aquarium Des Lagons has made a breakthrough in aquaculture; back in May of 2016, they successfully captive bred the Half-Spined Seahorse (Hippocampus semispinosus) also available exclusively through Quality Marine. In the wild, the Glow-Tail Pipefish tends to live in the rocky crevices of sheltered lagoons; down to eight meters deep. They are endemic to the southern half of New Caledonia and the first described individual came from the peninsula of Ducos in Noumea. They feed on small crustaceans and zooplankton. Like other pipefish, the males carry the eggs in a brood pouch, which is found under their tail. The eggs are gray and fairly large compared to the body. The males only carry about 30 eggs at a time due to the size of the eggs. In aquariums, pipefish should be kept in tanks with very peaceful, slow moving tank mates like seahorses and dragonets. They are poor swimmers thus it is important to keep the flow of the tanks low. As a result of their plodding swimming style, they are poor hunters, making it important to target feed. If given the right diet and conditions with good water quality, pipefish do quite well in aquariums. Choosing aquacultured animals will increase your chance of success in keeping pipefish. Cultured pipefish are raised on frozen small meaty foods, eliminating the need for offering live foods. Wild caught specimens often need to be fed live foods and this can sometimes be difficult and expensive. Choosing captive bred, aquacultured and maricultured specimens is important for the future of our trade. Not only are they frequently most sustainable options, but they are also often hardier than their wild counterparts. 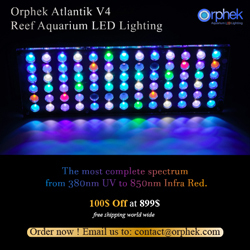 Through the Reefhab program, Quality Marine is an active participant in making the aquarium trade more sustainable. Increasing the number of cultured species offered to our customers is an integral part of this effort. Hopefully these are available in the next few months. I want to a add a pair to my new tank.